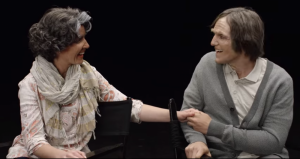 This couple sees what they’ll look like in their 90s. The results are beautiful. Tavis and Kristie are set to marry soon. In this video, presented by Cut and Field Day, a team of make-up artists helped the pair transform from their late 20s to late 90s.